Alan Jeffreys is a curator at the Imperial War Museum, London. 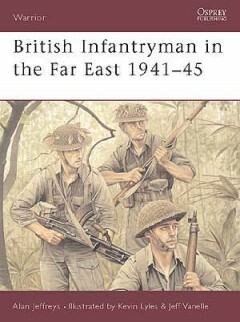 He has previously written Warrior 66: British Infantryman in the Far East 1941-45 for Osprey. Alan has a special interest in the tactics of and training for jungle warfare, and the development of these in the British Army in the Far East: his MPhil dissertation from Kings College, London, provided a detailed examination of these themes. He lives in Surrey with his wife and son.